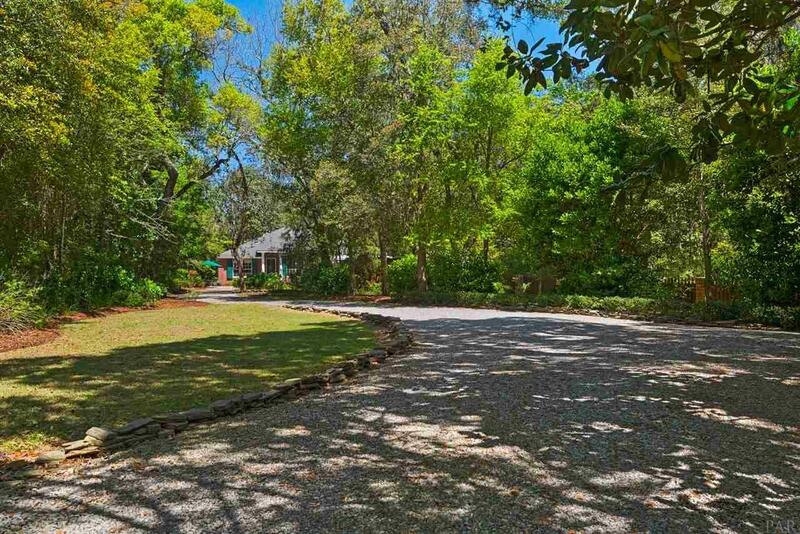 Rare find in South Santa Rosa - your own mini estate - lush landscaping - fruit trees - on .8 acre! Located in a gated community, but not part of the HOA. Bring your boat or RV, no restrictions and there&apos;s a dedicated space for your toys! Home sits back over 200ft from the road. The oversized garage has room for two cars and an additional bay area for your workshop - two 220v dedicated circuits. This custom built home was originally a 4 bedroom, so could easily be converted with the addition of a closet. Open floor plan, soaring ceilings and tons of crown molding, even a small peak-a-boo water view from the front rooms. The kitchen is outfitted with cherry cabinetry topped by braided molding, quartz countertops, a custom french country range hood, gas range, bar top seating, butcher block island, wine bar with a 50 bottle storage unit, sky lights and eat in kitchen nook. The home&apos;s laundry room has been outfitted with a custom pantry for additional storage and also has a utility sink. The great room looks out on to a large, fully fenced back yard so you can keep an eye on the children or pets through the french doors flanked by large windows with plantation shutters. A new paver patio was installed within the past year and the seller has plans for an enclosed patio room that they will share. The split floor plan features a large master bedroom with heavy crown molding, french doors and transom windows for light and privacy. A garden tub and separate shower and a large walk in closet complete the master suite. The other two bedrooms, one with french doors out to the patio and a bath are on the other side of the home. There are two front rooms, one currently used as a formal dining room (was originally a 4th bedroom) and one is used as a reading room. A powder room is also at the front of the home. Generac whole house generator, tankless gas hot water heater, blown insulation in walls, home air purifier. Great location near Publix, Lowes, and the public boat launch.